Hey Dude. Looks like you've had a stressful time. Looks like you might need a bodacious bro to calm you down. Don't worry, bruh. 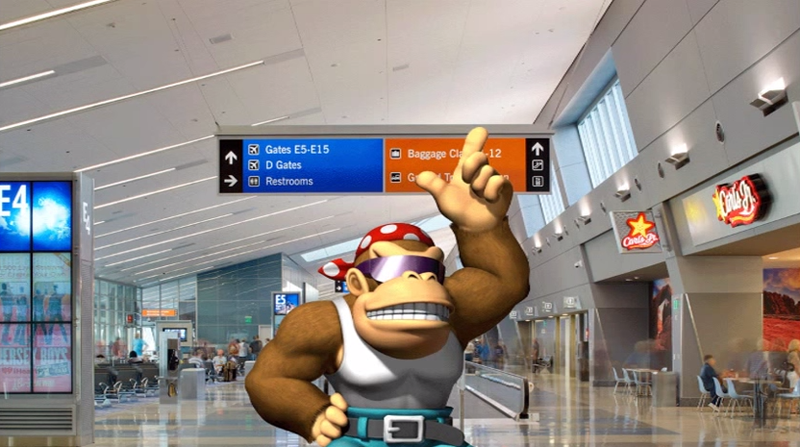 I'm here for you, and so is Funky Kong. Docfuture1 (AKA Topher Florance, the dude behind A semi-alphabetical listing of Black actors with speaking roles on Friends) recently made this simultaneously relaxing and gross Funky Kong ASMR video. In it he makes chewing noises, plays some ambient music, and mutters soft gibberish. It's everything that I find spooky about both Donkey Kong Country and YouTube ASMR videos rolled up into one. If you like that, you might also like the inappropriately titled Amateur Speedwalk: WarioWare, Inc.: Minigame Mania: Drifting Away in 11:57, which he uploaded after going silent for 2 years. You'll be able to see some of Topher's work in the upcoming indie game Barkley 2.